Police have identified the decomposing body of a man found in a marsh in Haddonfield, NJ, yesterday. 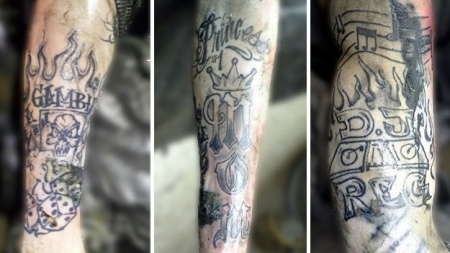 Distinctive tattoos helped investigators identify the man as 26-year-old Reginald Glover of Philadelphia. The body was found by joggers yesterday near Merion and Haverford Ave and appeared to have been there for several days. The body had been stabbed 10-11 times but that is not what killed them. The autopsy showed those wounds had been treated and sutured almost a month ago. A cause of death has not been determined, but toxicology reports will help. Those will take time to come back. Two men have been ordered held for trial for a Roosevelt Blvd crash that killed a mother and three of her children in which the men were allegedly drag racing. Khusen Akhmedov, the driver of the car that hit the family, was charged with third-degree murder and other offenses. Amhen Holloman, faces a charge of homicide-by-vehicle while DUI and related offenses. Witnesses described the two drivers speeding, racing, weaving in-and-out of traffic. 28-year-old Samara Banks was crossing the Boulevard with her four small boys when she was struck by Akhmedov going over 70 mph. Only one of the boys survived the accident. A Temple University professor was assaulted in Anderson Hall around noon today. The professor was in his second floor office when the suspect came from behind and attacked. After a struggle the suspect fled with some personal items. The professor suffered some injuries to the mouth. Anderson Hall is an academic building with one entrance where you show your ID, but has several exits with surveillance cameras. Officials have increased security in the area. Police are looking at those security tapes. The suspect is described as an African American male about 6' tall, early 20's, wearing tan pants and tan shirt.